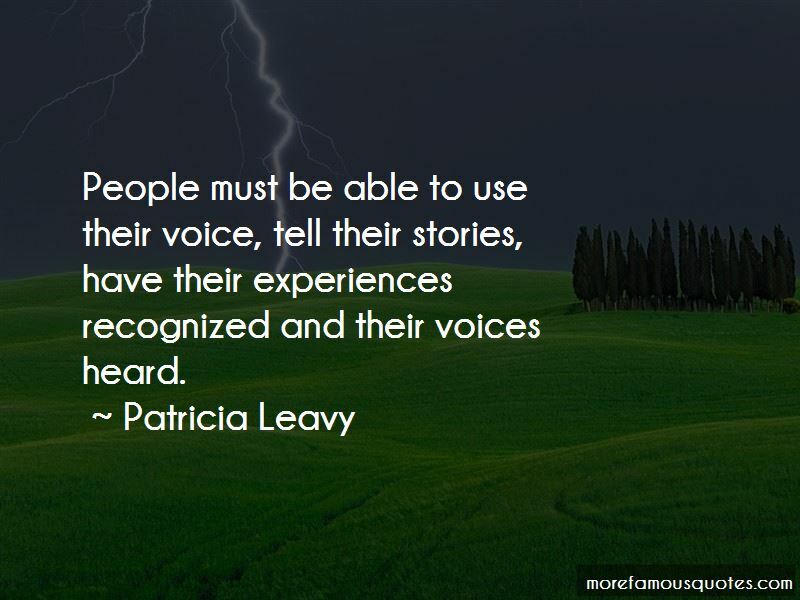 Enjoy the top 12 famous quotes, sayings and quotations by Patricia Leavy. Oral history interviews allow us to document and chronicle people's stories; stories that might otherwise not be included in the historical record. Want to see more pictures of Patricia Leavy quotes? 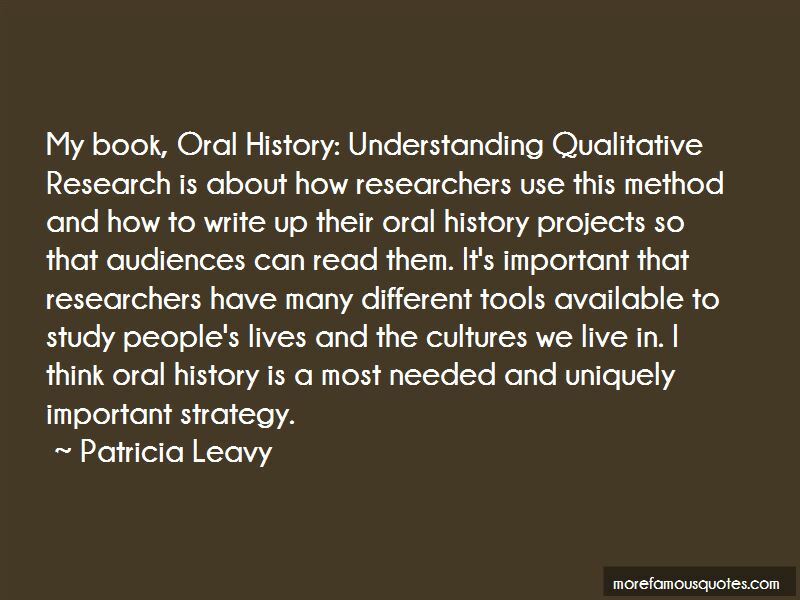 Click on image of Patricia Leavy quotes to view full size.